When discussing products from Nepal, the first things that usually come to mind are handicrafts, carpets and pashmina shawls. Those were Nepal’s traditional exports, but there are new Made in Nepal items that are steadily gaining popularity around the world. Entrepreneurs say pushing a product with a Made in Nepal tag actually adds value, but ultimately it is the quality that counts to compete in the international market. Nepali Times looks at entrepreneurs who have defied domestic odds and overcome obstacles to push Nepali products that are making a splash in the international market. Around the world, the word Sherpa is synonymous with high altitude climbing and Mt Everest. Honouring the hardworking and courageous climbers from Nepal and celebrating the spirit of adventure is their namesake brand: Sherpa Adventure Gear. It manufactures outdoor, lifestyle gear with its flagship store in Kathmandu. 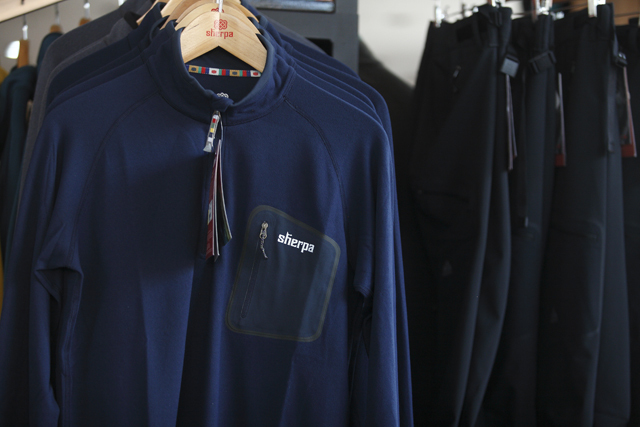 Ninety-five per cent of Sherpa’s products are manufactured in Nepal. From branding to product design, the company ensures that its jackets, base layer clothing, fleeces, wooden hats, and outdoor gear meet international standards. Sherpa products are now available in 21 countries, in shops in the US, UK, Japan, Australia, Germany, Switzerland and even Chile. Since its inception in 2003, Sherpa’s products have been regularly featured in the top 10 lists of Outside, Backpacker, UK Climbing, Indybest and others, and it is Nepal’s answer to international brands like Patagonia and North Face. “The whole image of Nepal, mountains and Sherpa worked well in people’s imagination. There was this small brand trying to sell high quality products, and it immediately earned the goodwill of customers,” says CEO Ashutosh Tiwari. Competing in the international market is serious business, and Sherpa prides itself in delivering high end, high quality products with high production standards and designs. “That the products are made in Nepal adds to the appeal,” Tiwari says. Sherpa’s products are manufactured in factories in Biratnagar and Kathmandu, down jackets are made in Vietnam and the fabrics are sourced from Japan, South Korea and Taiwan. All the mountaineering gear is tested by Nepali climbers in the Himalaya ensuring their versatility and reliability. Four years ago, while working in brand merchandising for a high-end store in the US, Shweta Upadhyaya felt a void in the market for authentic Ayurvedic products that celebrated the principles and practices of this ancient practice of wellbeing. While there were many natural organic products in the market, Ayurveda remained unattractive and out of reach of consumers. 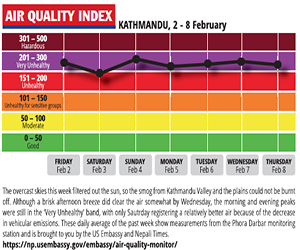 Even in Nepal and the Subcontinent where the tradition originated, herbal products were seen as cheap and shoddy. 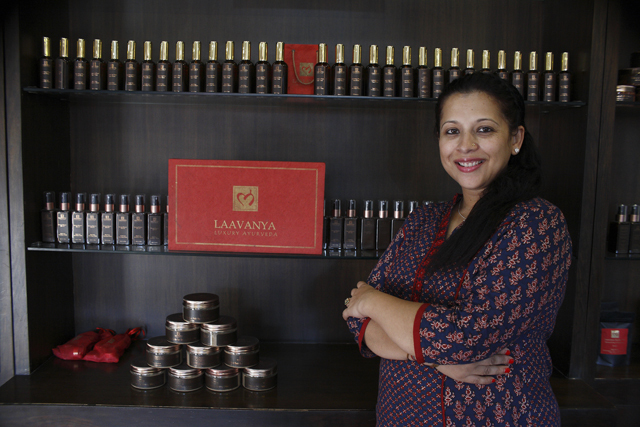 A student of Ayurveda and fashion marketing, Upadhyaya created a brand using the best quality herbs researching and designing Laavanya Luxury Ayurveda which now carries 30 skincare products including creams, face packs, bath salts, hair tonics, rose water, soaps, serums, oils sold through two outlets in Nepal, online, and through boutique stores in the US. “From the herbs to the formulation everything is based on ancient Ayurvedic texts and that is what makes us authentic and different,” says Upadhyaya. All of the products are manufactured in Nepal and the 60 per cent of the raw material is sourced locally. The products that are bottled and packaged in Bangkok, but the paper boxes and pouches used for packaging are all handmade in Nepal. Ensuring high quality has paid off for Laavanya, even without aggressive marketing and advertising, it has a loyal clientele at home that is made up of 60 per cent Nepalis and 40 per cent expatriates. 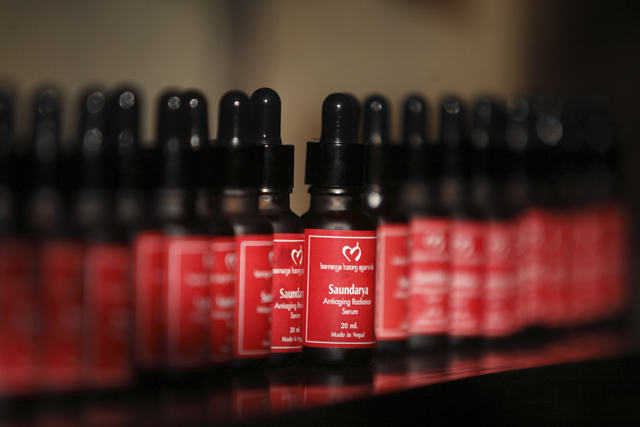 “Those who really know about Ayurveda and are interested in it buy our products. There is a niche market for it,” shares Upadhyaya. Pet dogs around the world are saying cheese, thanks to a new dog chew from Nepal. Made of milk, salt and lime juice hardened cheese known as 'Churpi' or 'Dhurkhwa' is traditionally a popular snack for people in the mountains of Nepal. But the chewy texture and flavorful taste and smell makes it perfect for pet dogs as well. Himalayan Dog Chew , a product of Himalayan Corporation, a US based company, has been creating waves around the world as a 100 per cent natural chew for the dogs. 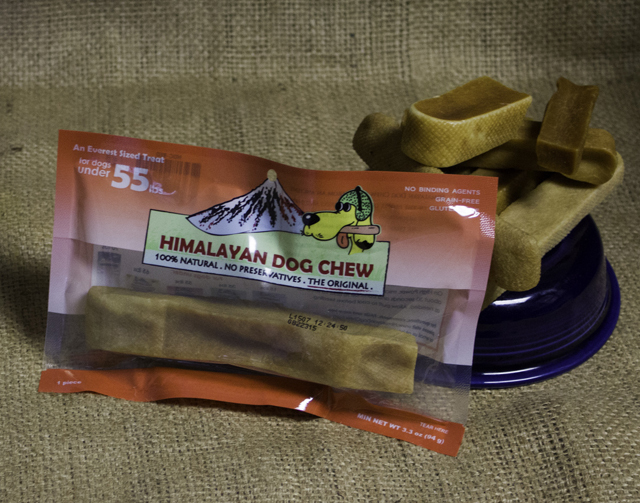 "The product is originally manufactured in Nepal, it is then processed and packaged in a factory in US," says Sujan Shrestha of Himalayan Dog Chew. During the peak season, around 9,000 farmers in Nepal supply milk for cheese which is made in around 300 dairies in Ilam, Taplejung, Tehrathum, Dhankuta and Sankhuwasabha. 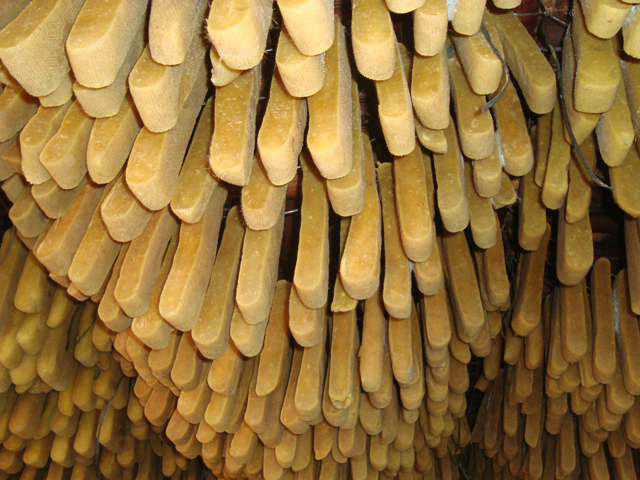 The hardened cheese is then sent to the factory in US where it is further cleaned, processed and packaged for distribution through partners and Himalayan's own distribution centres. The product is so popular that Manaram Himalayan which supplies the hardened cheese to Himalayan's US factory alone exported 300 tons of cheese worth $2.5 million in 2015. Himalayan produced an additional 300 tons in its factory in US. Shrestha believes that the Himalayan name and the "cheesy" story behind the product along with the quality sets it apart from the competition. "Marketing it as a product of Nepal adds value but it is the quality that earns customer's trust and confidence in the product especially in the West where people are really sensitive about their pets," he says. When talking about cities around the world that produce high quality watches, Kathmandu is the last name that comes to mind. But all that is changing, thanks to Kobold watches. 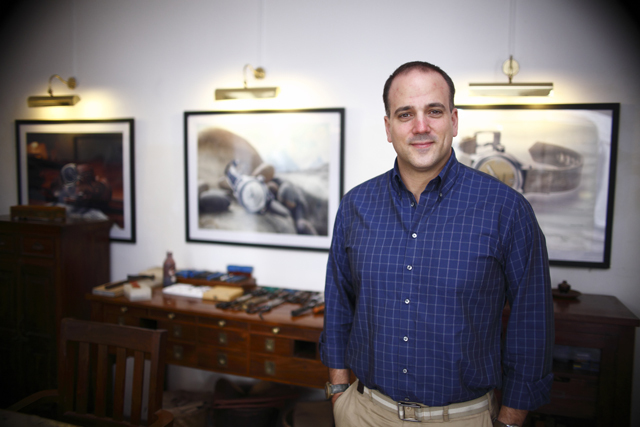 Since 2012, Michael Kobold, founder of Kobold Watch Company, and his team has been assembling watches here producing 20 models with the Made in Nepal tag. The most famous of these is Kobold Himalaya Everest, a limited edition watch with a very special dial made of rock from the summit of Mt Everest (all 25 of them are sold out). “In my view, a watch shouldn’t be a sterile item, it should convey a story of adventure, and nothing spells adventure more than Himalaya and Nepal,” says Kobold. Indeed, his watches have the tagline: ‘Embrace Adventure’. 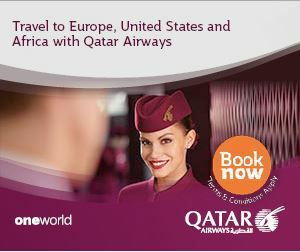 Himalaya is the flagship model of the with prices ranging from $3500-16,000. 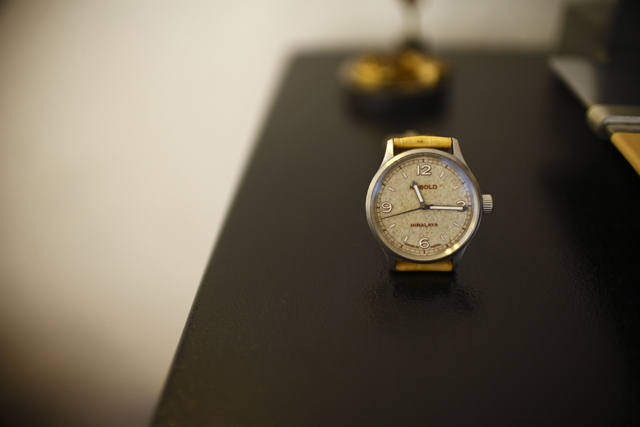 Kobold only makes 700 watches annually, 50 of which are assembled in Nepal and most of them sold in the US and to expatriates looking for high-end souvenirs in Nepal. Kobold also produces leather components like straps, iPhone cases, belts, wallet, card holders and key rings all handcrafted in Nepal and sold all over the world. Prime Minister Girija Prasad Koirala is used to being interviewed by journalists. But last week he was interviewed by the citizens of his hometown, Biratnagar.